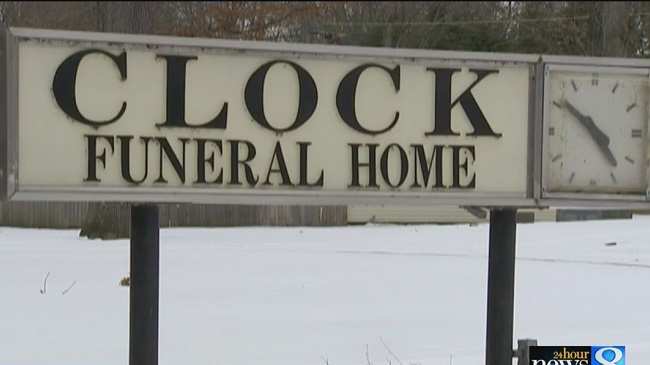 Funeral home owner, Thomas Clock, was accused of leaving the body of 86 year old Helen Anthony in his funeral van for over a week while he falsely told the family that he cremated her. The Anthony family buried an urn that they believed had Helen Anthony’s remains inside shortly after her death on December 3rd. However, after the discovery of Anthony’s body the urn was exhumed and police found that it was empty. Clock was arrested for drunk driving and the body was discovered while he was still in custody, he now faces up to 10 years in prison and was arraigned at Muskegon District Court with charges of fraud, attempted larceny, and operating a funeral home without a license, his license reportedly expired in early December. Clock’s cousin, Dale Clock, runs similarly named but unrelated funeral homes, and has taken over the arrangements for the Anthony family, and has promised to do so for any other family effected by the mishap.